A week weeks ago I was commissioned to Style a Christmas Gift Guide studio shoot, we put together sets for each theme, Floral Gifts for Her, Rustic Kitchen Gifts for Foodie, Alice in Wonderland gifts for Girls & Bond Inspired Ideas for Men. This stunning Festive David Austin Roses bouquet had the most Amazing scent! Pink Skates are from The Conran Shop, Beautiful Floral cushions by BlueBellGray, Rug from Tesco, Dressing table from Next, Corisande print from Surface View and Green Skandiphone from Wild & Wolf. 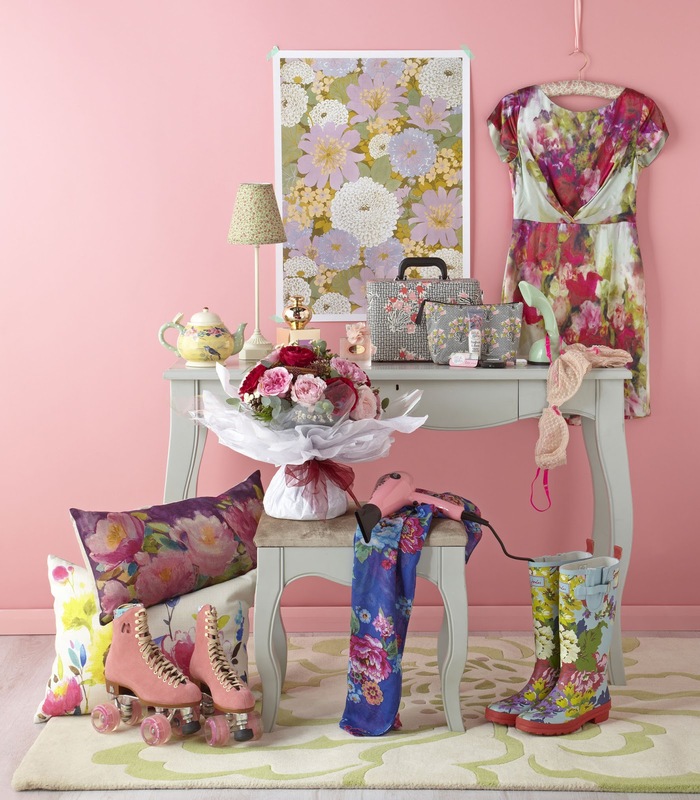 We also used a selection of items from Joules & Boots. 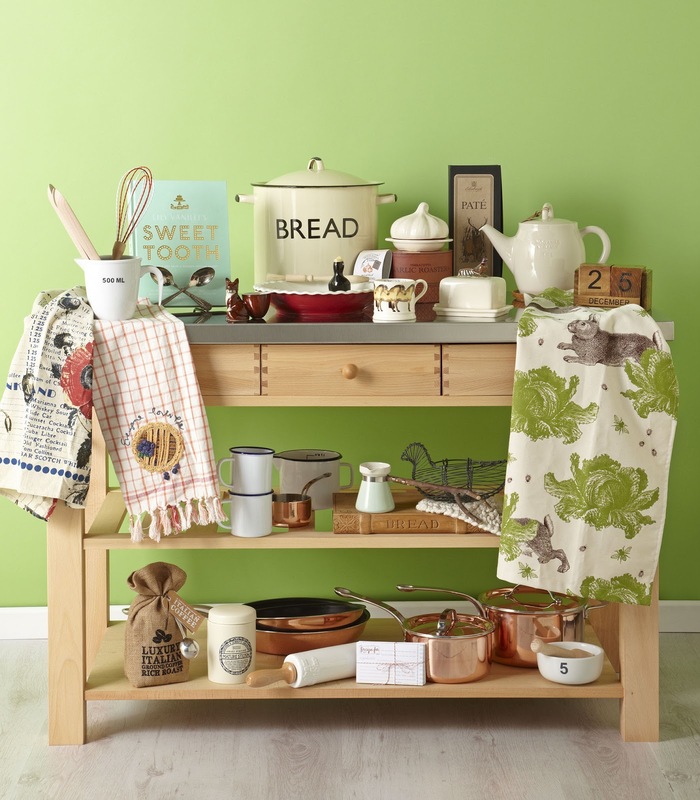 I’m a big fan of these fab copper pots & pans from Lakeland & was great to use a selection of items from Anthropologie, Falcon, My Deco, Rockett St George, M&S, Sainsbury’s, Bodie & Fou, Thornback & Peel, John Lewis and Cotswold Trading. 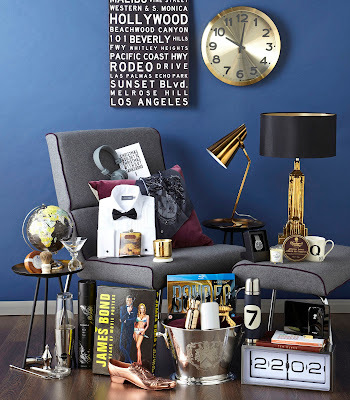 I love this cool Gold wall clock from Heals, the Q mug from Wild & Wolf, the Christmas wouldn’t be Christmas without Bond Card by Betsy Benn and the Gold plated data traveller USB and Wi-Drive from Kingston Technology available via Amazon. 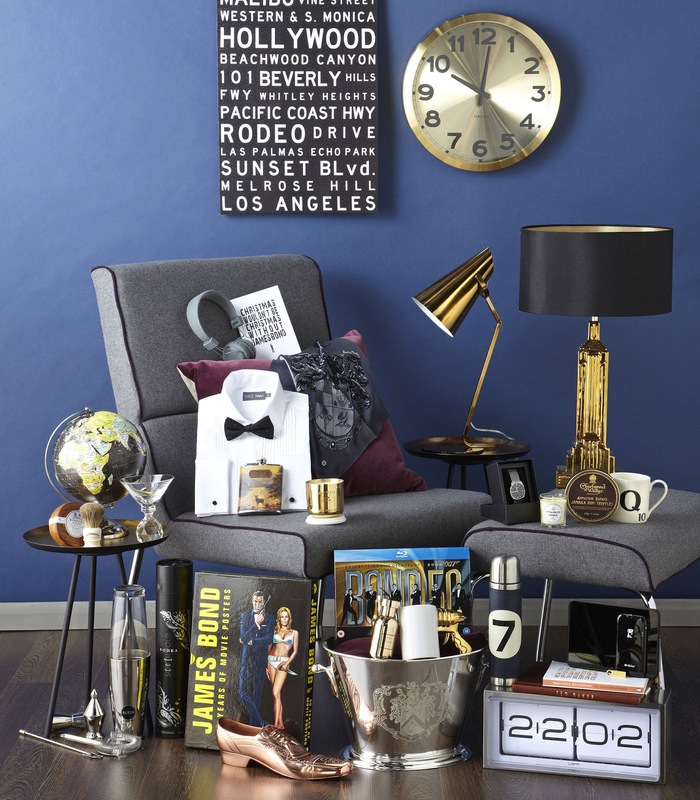 Plus a selection of items were from Dwell, Tom Dixon, M&S and Brissi. 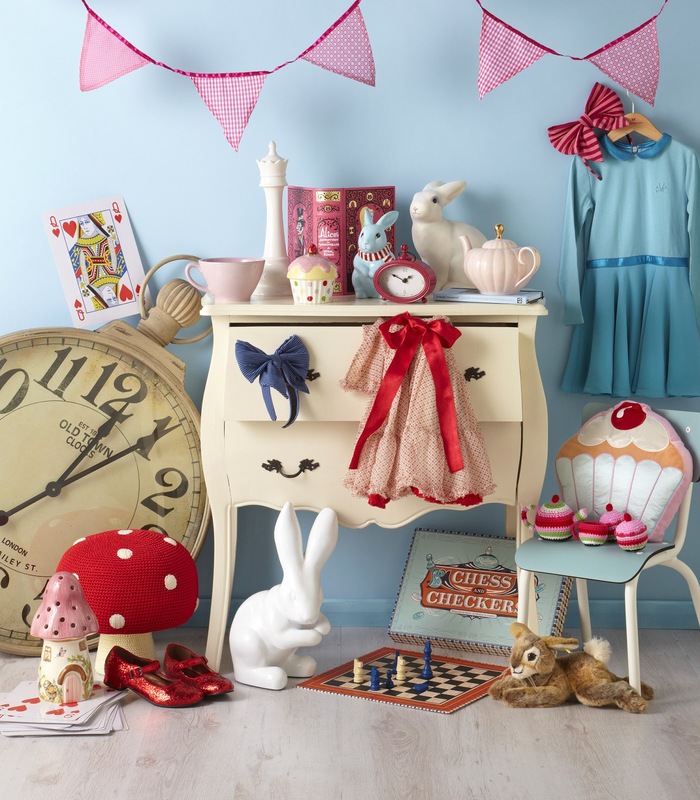 A very sweet theme, cute bunny toy from Steiff, Giant playing cards from Tiger and oversized pocket clock from Liv Furniture. 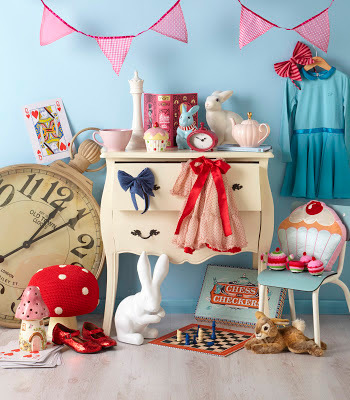 Other items from Bombay Duck, Wild & Wolf, Debenhams, I love Gorgeous, Not on the High Street, Rockett & Bear and Home & Kids.